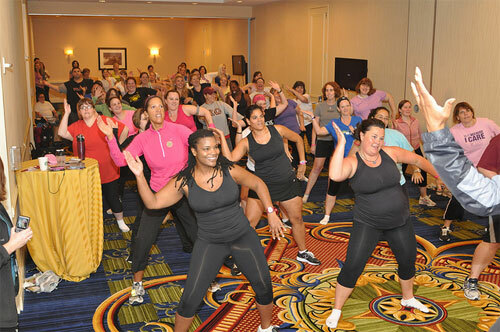 It is now officially a FitBloggin’ tradition to squish all the attendees into a group photo. This year we did it after the keynote address on Saturday so we lost quite a few folks but it’s still a fabulous pic of the troopers. 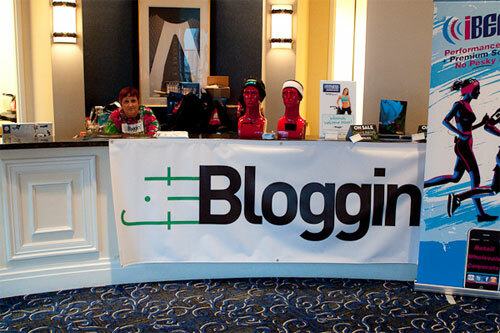 All the photos from the official FitBloggin’ Photographer, Carrie D, are available on Flickr. We have them separated in sets by day. Click here for the Day 1 set. Click here for the Day 2 set. Click here for the Day 3 set. We’ll be adding a collection soon where all photos can be seen in one spot. 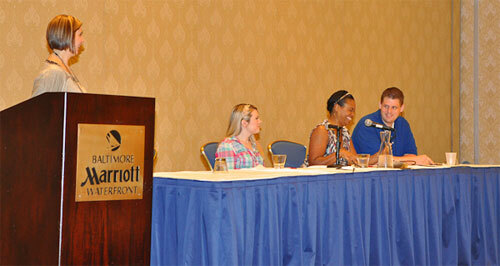 We are also considering adding a bunch to the FitBloggin’ Facebook page so you would have the ability to tag yourself. Be sure to leave a link to your FitBloggin recap posts here, multiple ones are welcome! Don’t forget to post shout outs to our fabulous sponsors in posts, tweets or on Facebook. What a great event! Thanks for the pics! So jealous! I hope to make it next year!! It was a wonderful weekend, can we do it again next month? How fun! I'm SO in for next year. Why didn't I start blogging sooner?!?! Love these, love you, etc. And I really mean it! Thanks for all your amazing work, Roni, FitBloggin rocks.the.house! I love to see the excitement and energy in their faces! Some of them are "glowing" . These people definately look like the are ready for a change!